Though the ME collection was introduced in 2012 with six summer and three resort on-trend shades, this is Dermelect’s first complete color lacquer collection. Dermelect turned to Celebrity Nail Tech, Elle, who is on Dermelect’s Board of Advisors to create a cohesive collection for ME. 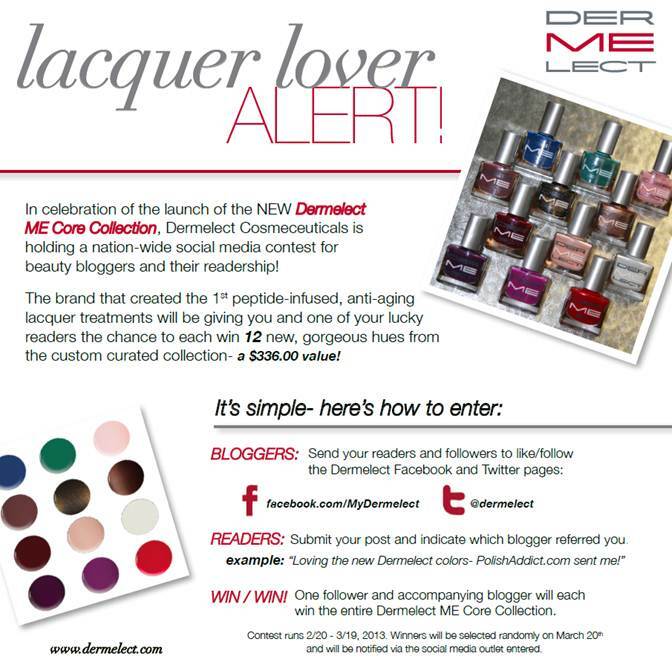 “Elle’s stellar reputation in the industry, as well as her tremendous fashion flair provided for an excellent opportunity to synergistically get involved with our innovative, anti-aging nail treatment colors,” says Amos Lavian, Founder of Dermelect Cosmeceuticals. What a lovely collection! I'm excited to get some.